OF COURSE, dining out on Valentine’s Day is a well-worn cliche. But hey, I’m a romantic and a sentimentalist at heart. So I’m always down for making my Valentine’s meal a special one, whether it’s a quiet and intimate feast at home, or a more public dinner out on the town. As always, there’s an abundance of local restaurants offering special dining options for Cupid’s big night. I’ve sifted through all the V-Day dining choices I’ve been able to find so that you don’t have to. And, I have selected what I think are the best bets in town and the top spots to spend your hard-earned dining dollar. You’re welcome. 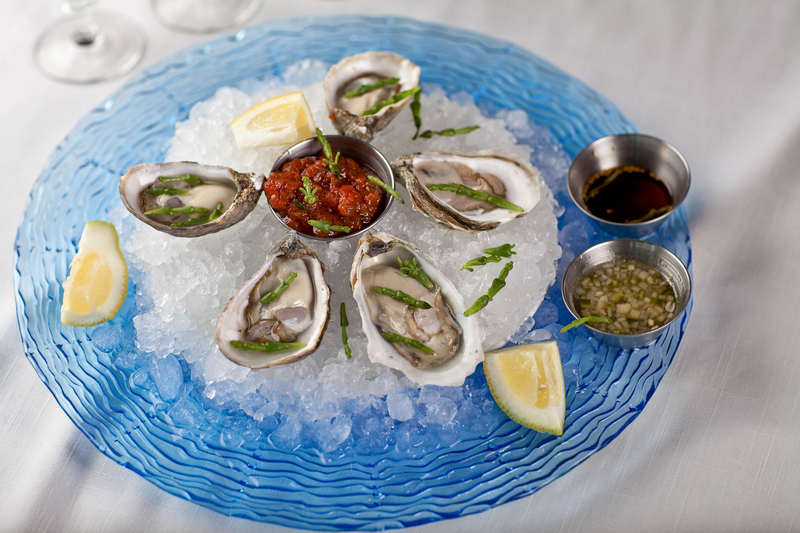 We all know that oysters are a natural aphrodisiac, and when you combine the scrumptious bivalves with absinthe, well…. That’s what’s happening on Valentine’s Day at Under Current Bar, where new pastry chef Amber Billingsly has created a sampler plate of bite-size sweets to pair with signature absinthe cocktails and a fine selection of fresh oysters. For those who can’t make it on Valentine’s Day, Under Current will host an Oysters & Absinthe tasting class on Saturday, February 24th from 2 to 4 PM. The afternoon will feature a tasting of three different absinthe brands, two absinthe cocktails, and a fresh selection of oysters. The cost for the tasting class is $55 per person. 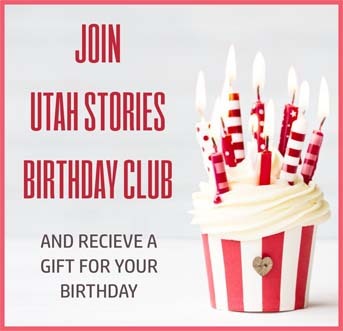 Call 801-574-2556 to RSVP. Ogden’s Hearth on 25th will offer a special “Love Affair” chef’s tasting menu on Valentine’s Day, priced at $65 per person. The menu includes items such as a local yak en croute amuse bouche; lobster bisque; rabbit rillette; pan-seared halibut fillet; duck breast with homemade rigatoni pasta; lamb agrodolce; dessert for two, and more. 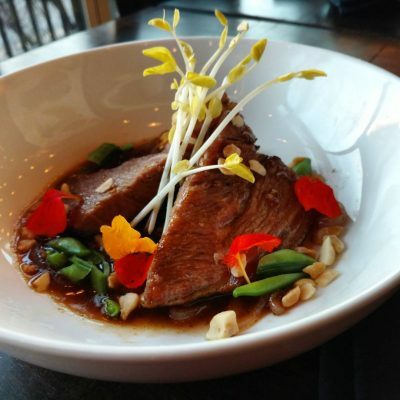 For reservations, call 801-399-0088. How about an excursion to romantic Brazil for Valentine’s Day? 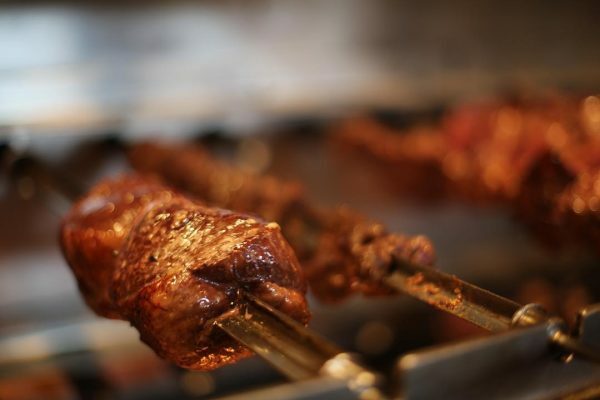 At Tucanos Brazilian Grill, they’ve added some special selections to their all-you-can-eat V-Day menu ($29.95 per person), such as rosemary-herb salmon, roasted ribeye, grilled shrimp and chocolate Brazilian truffle. In addition, each couple dining on the 14th receives a complimentary rose with dinner. Tucanos will celebrate Valentine’s Day from Monday, February 12th thru Wednesday, the 14th. Make your reservation by calling 801-456-2550. 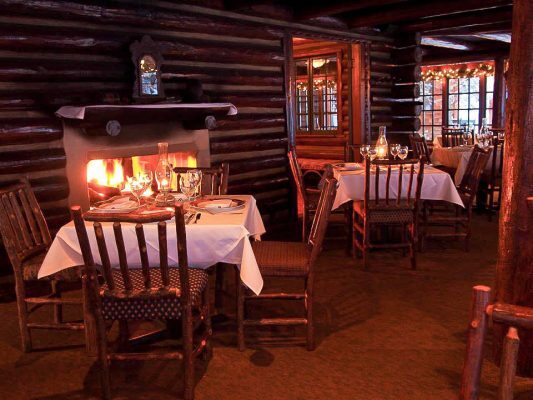 The toughest table to obtain for Valentine’s Day is always at Utah’s most romantic dining venue, Log Haven restaurant in Millcreek Canyon. And, by the time you read this, chances are good that the restaurant will be sold out for the 14th. However, Log Haven does offer a cancellation list and also encourages diners who’d like to partake in the restaurant voted “Top Scenic Restaurant” by Food & Wine to reserve a table the evening prior to or following Valentine’s Day. Chef Dave Jones’ tuna tartare, wild grilled shrimp, and Dungeness crab risotto dishes would be excellent choices for Valentine’s, or anytime. 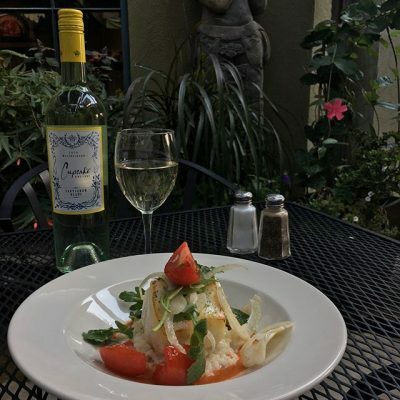 V-Day menu specials include roasted beet soup with chevre; market fresh ceviche with mango, jalapeño, citrus and fried plantains; and a special entree of osso bucco with parmesan polenta, baby heirloom tomatoes, crisp kale and sofrito sauce. Dessert options include chocolate-orange pots de creme with whipped mascarpone and candied kumquat. Call 801-272-8255 to reserve your table. For a truly one-of-a-kind Valentine’s dining experience, reserve a spot for a 5-course SLC POP dinner on either February 14th or 16th. 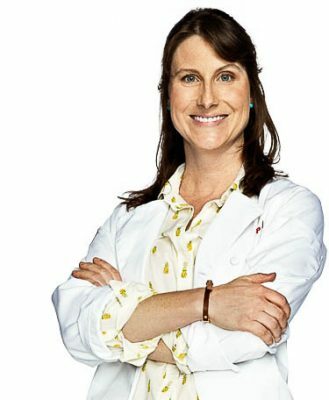 The pop-up dinners will be held at Red Moose Coffee Company and feature the cuisine of TV’s Top Chef competitor, Katie Weinner. The cost for the SLC POP Valentine’s Day pop-up dinner is $95 per person, which includes food, tax, tip and experience. Diners are welcome to BYOB. Click here to make online reservations. A visit to Spain via Cafe Madrid would be a terrific way to celebrate Valentine’s Day this year. They’ll feature a special 4-course menu priced at $55 per person featuring a choice of tapas, house salad, entree and dessert. 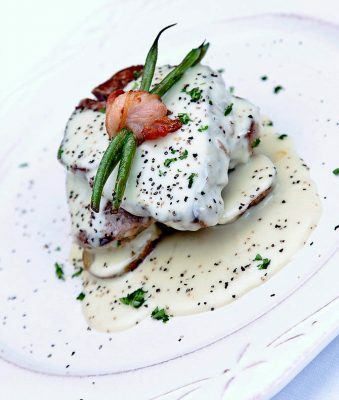 Some of the delectable-sounding dishes include grilled beef tenderloin with Roquefort cheese sauce; phyllo-wrapped salmon with ginger-honey sauce; sauteed mussels in white wine, garlic and red pepper sauce; bacon-rolled shrimp; Spanish sausage with Black Mission fig sauce; lobster bisque; and grilled oyster mushrooms with smoked bacon in cream sauce. There are five desserts to select from, including chocolate mousse with mandarin meringue; creme brulee cake; and strawberries in a peppercorn marinade with vanilla ice cream. 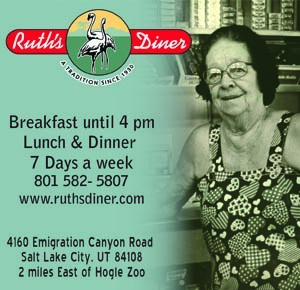 Call 801-273-0837 for reservations. In my opinion, one of the most overlooked restaurants in town is the enduring Oasis Cafe, where Chef de Cuisine Efren Benitez’ cooking always pleases me. The Oasis will feature a special 4-course Valentine’s Day menu priced at $50 per person, with Golden Braid Books offering a special $25 rate to diners for a 20-minute Couple’s Psychic Reading (I suggest you do this after dinner…). Chef Benitez’ V-Day menu includes items such as chipotle-glazed tiger prawns; pan-roasted tofu with artichoke hearts, white sesame seeds and sweet soy sauce; shrimp bisque with chives; watermelon-arugula salad; entrees like pan-roasted scallops with beef tenderloin; salmon Wellington; prosciutto-stuffed chicken; and curried mushroom quinoa; plus a choice of dessert. Call 801-322-0404 for reservations or make them online at the Oasis Cafe website.